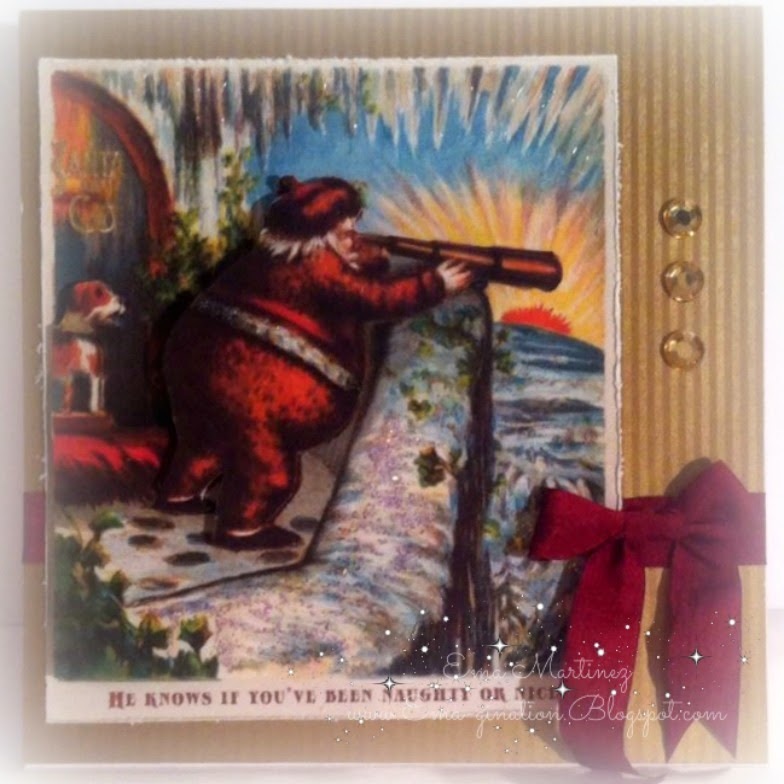 This is my Santa DT card for this week's challenge at My Time to Craft. 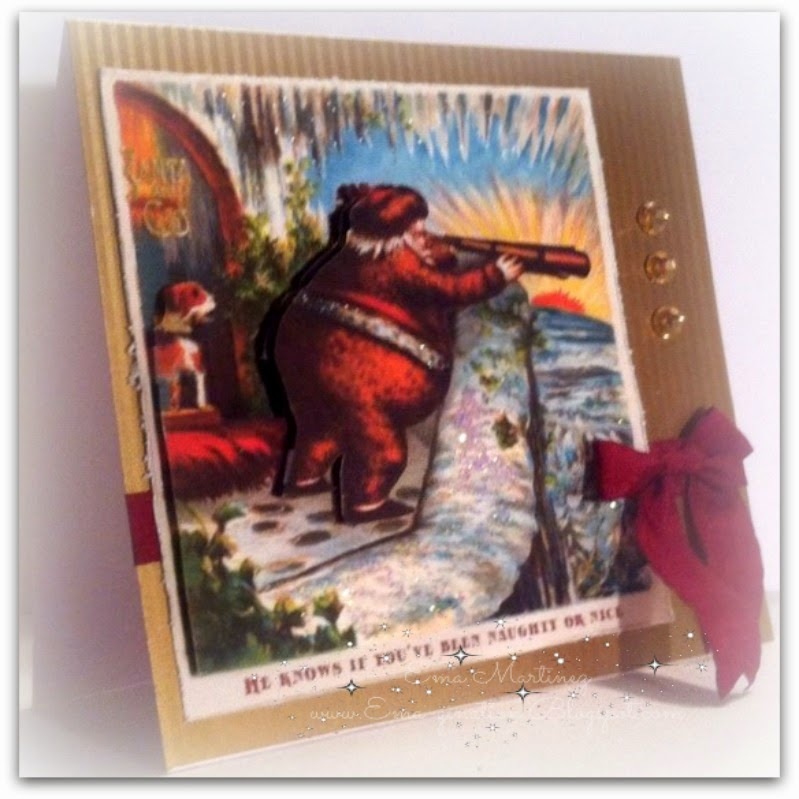 Are you getting ready with your Christmas cards? This is the perfect opportunity to do so! Mark one off your list and what a great challenge theme... Santa! I hope you will find time to pop on over to the blog and join us for Challenge #262 - Santa Clause! Thanks for stopping by! 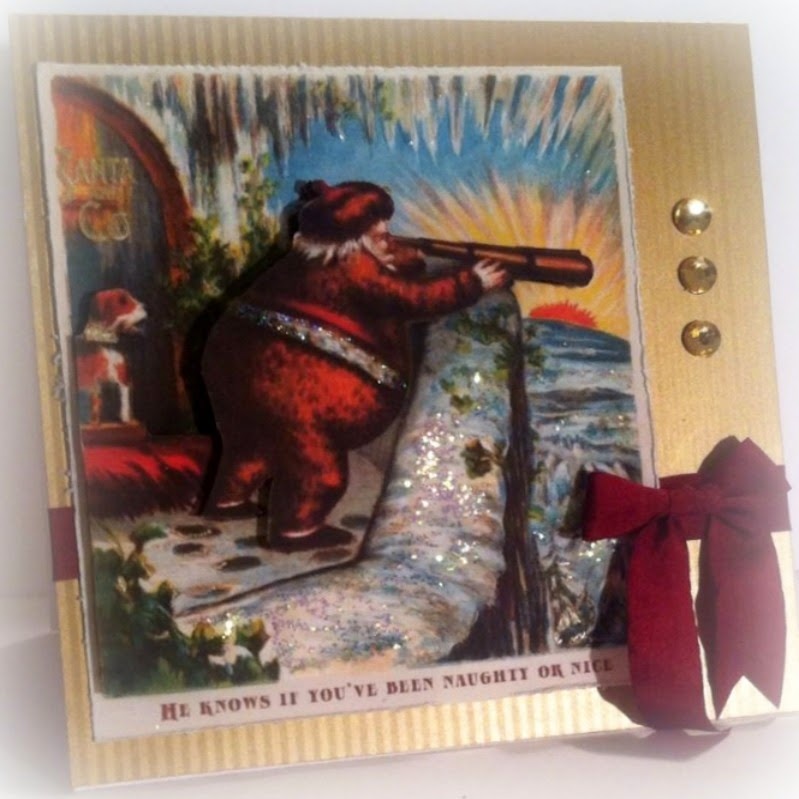 Beautiful card Ema with a great Santa image, love design. 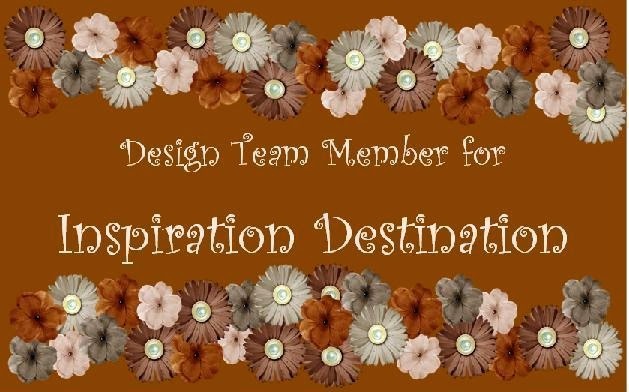 Ema this is a lovely card, I never think to use clip art but you found the perfect image. Love the layering and all the glitter and accents. What a great image this is, Ema! The decoupage is perfect! And I love that you've used a neutral card base, it really makes the image pop!